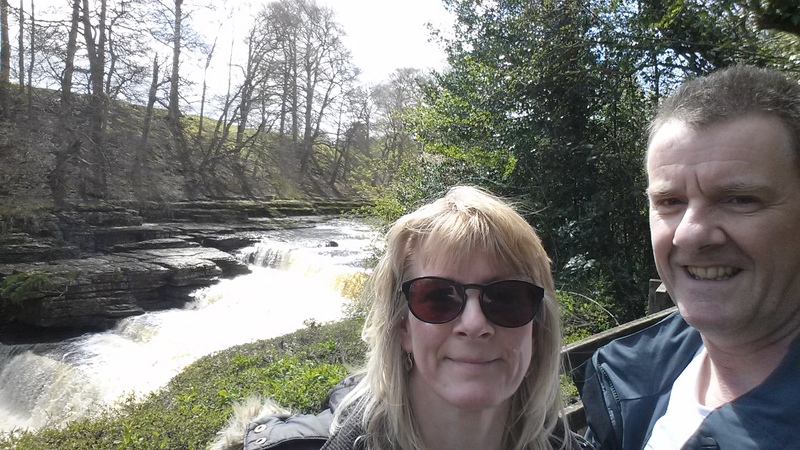 We stayed near Boroughbridge, not far off the A1 and less than an hour’s drive from some of the best short walks in the Yorkshire Dales. 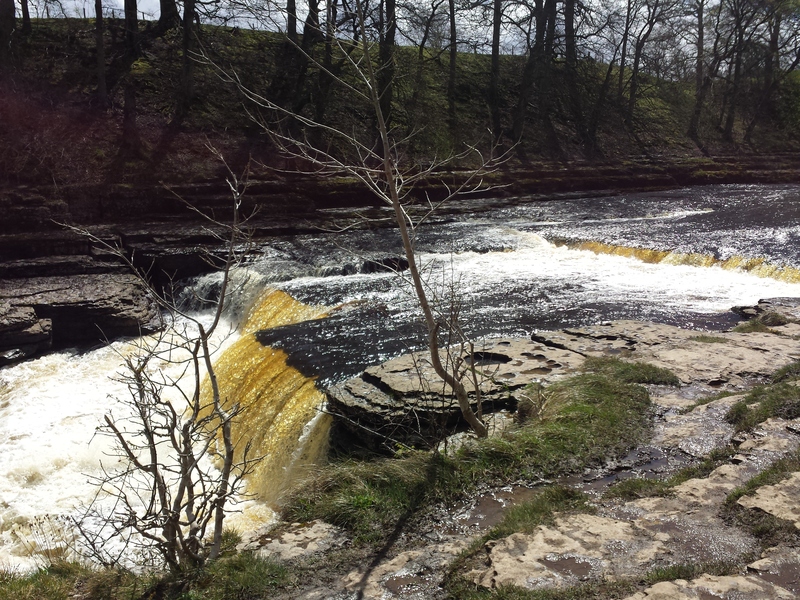 Aysgarth is a tiny village towards the East of the Dales National Park. 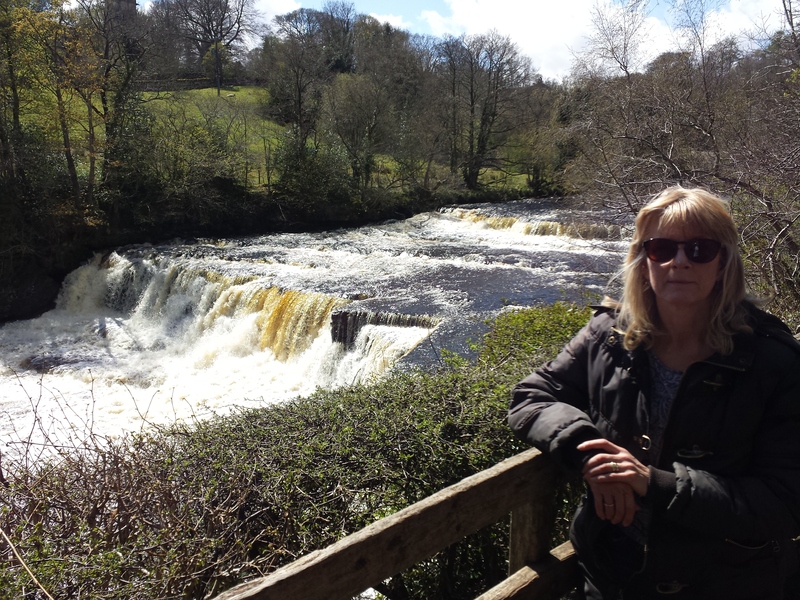 We left the car at the Park Visitor centre, and took a well-signposted 2.5 mile walk through woodland and along the banks of the River Ure, taking in views of the Lower, Middle and High Force waterfalls. 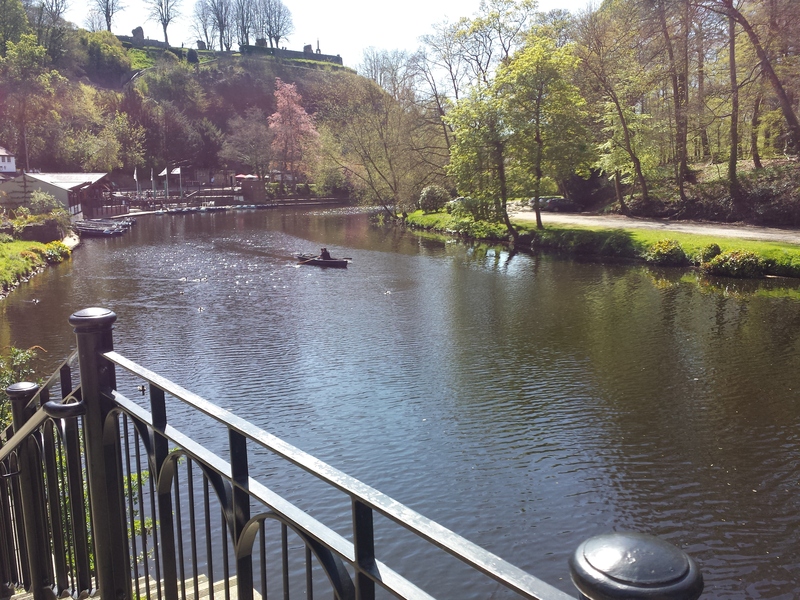 Then a welcome sit down and a cup of tea at the old mill house near to the visitor centre. 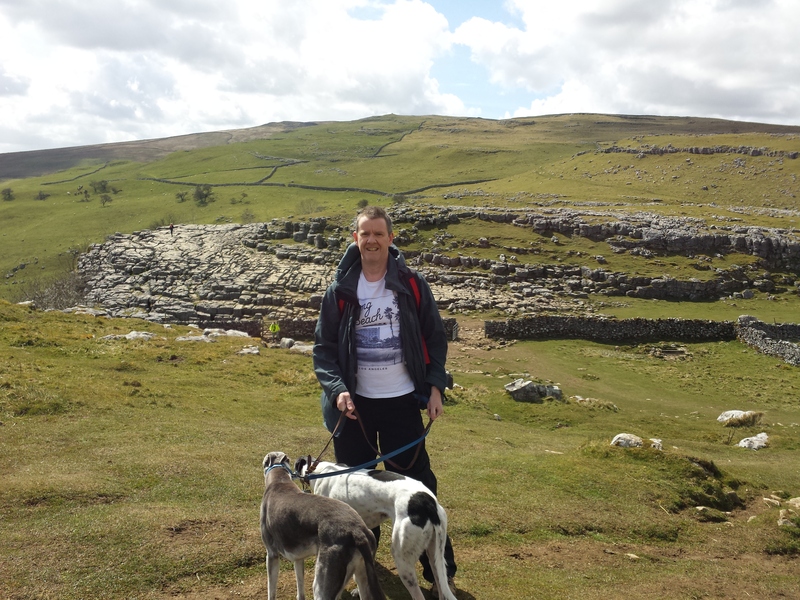 Malham Cove is towards the South of the National Park, and accessible by a few miles of narrow country lanes. Leaving the car at the National Park Authority car park near the centre of Malham Village, we took the shortest of the walks from their leaflet, at around 4.5 miles. 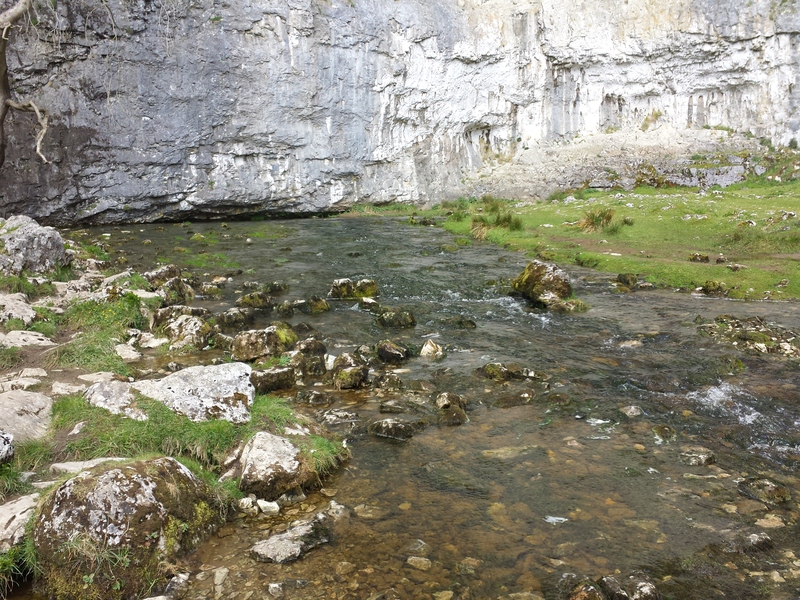 This walk follows Malham Beck to its source at the bottom of the sheer cliffs of Malham Cove. 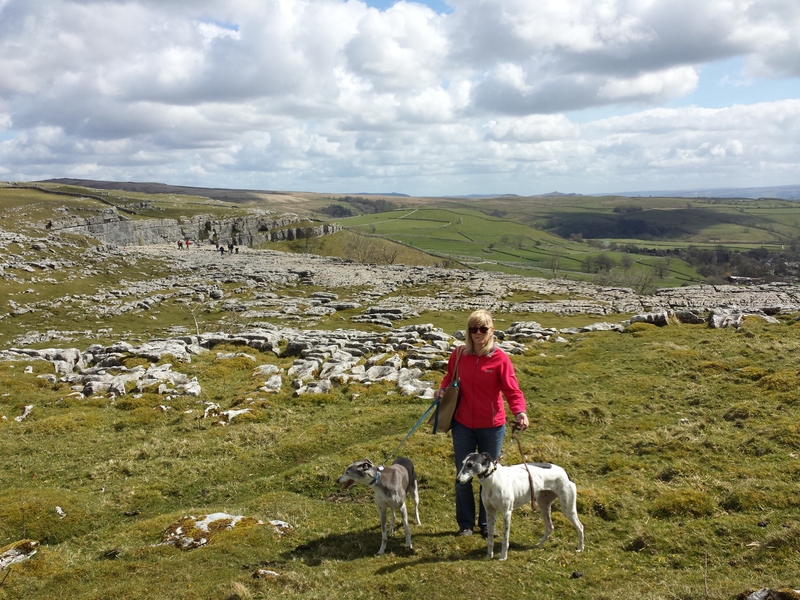 The walk then continues steeply uphill around the side of the Cove, crossing the limestone pavement at the top, before continuing on farmland footpaths to Gordale Scar and the waterfall at Janet’s Foss. 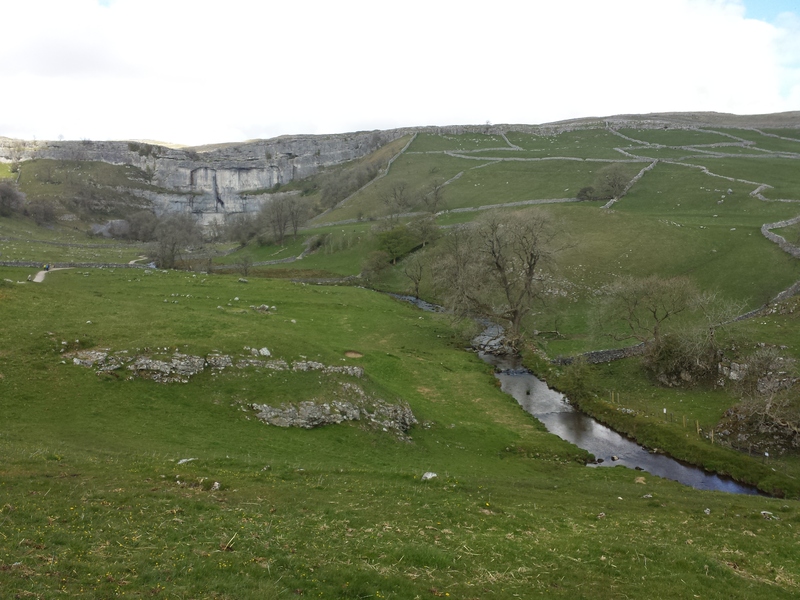 The circular route then follows Gordale Beck for a while, before returning to Malham Village. 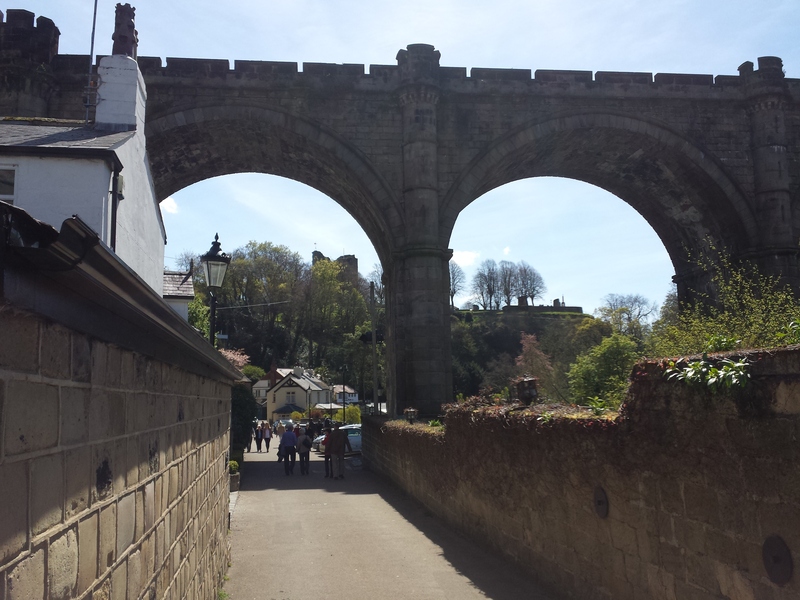 Knaresborough is a pretty market town with riverside walks, a castle and gardens, and a bustling market square. 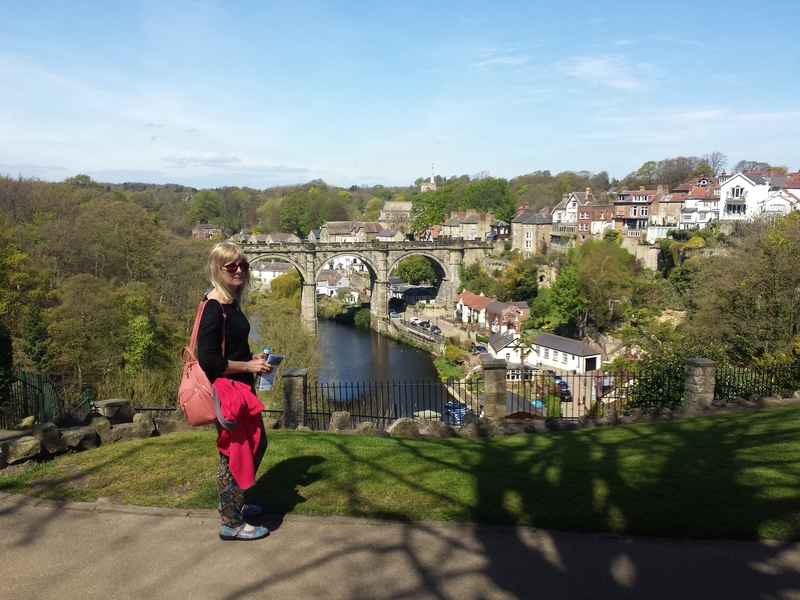 Quite a climb from the river up to the castle and back, so we took a relaxing break at one of the riverside cafes after our half-day trip. 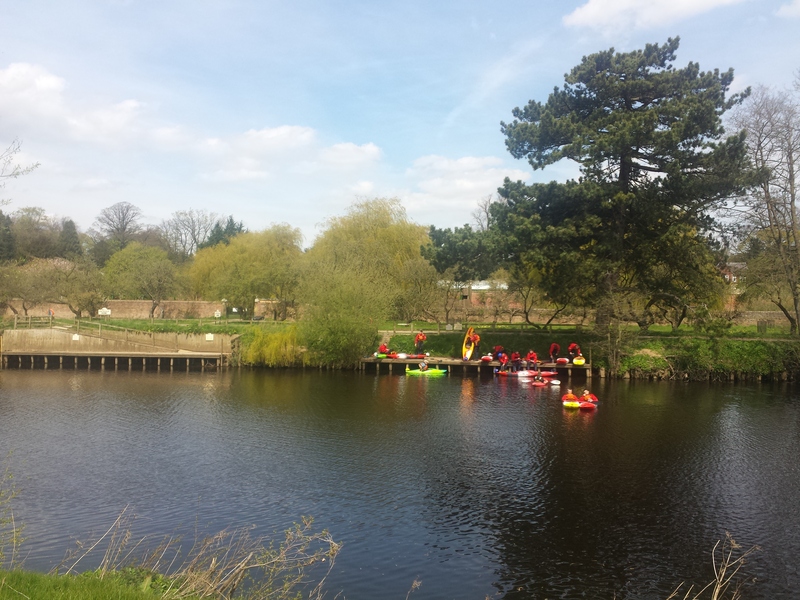 The picturesque village of Roecliffe, near to Boroughbridge, also has a riverside walk, the ‘Roecliffe Ramble’. 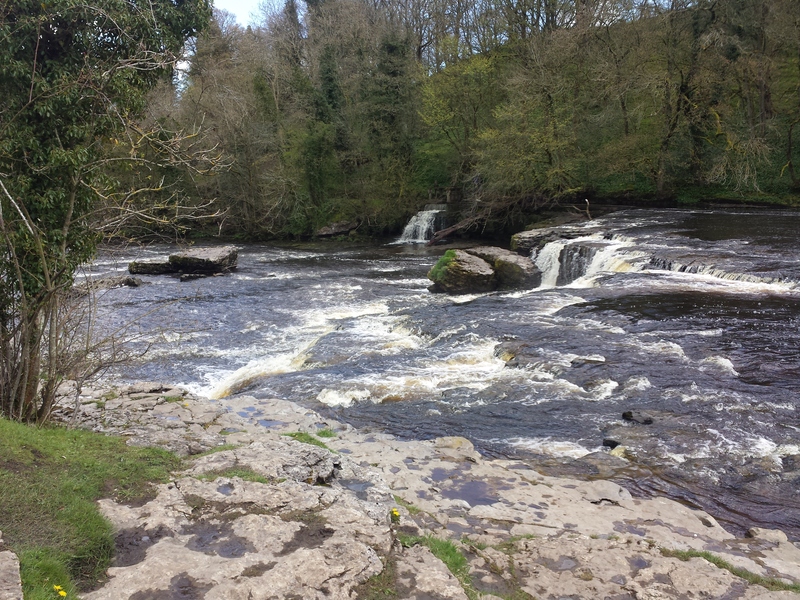 It’s almost all on the level along the riverbank, but the public footpaths are far less travelled than the walks in the Dales, so some patches are difficult to negotiate and there are frequent stiles to cross in between fields. 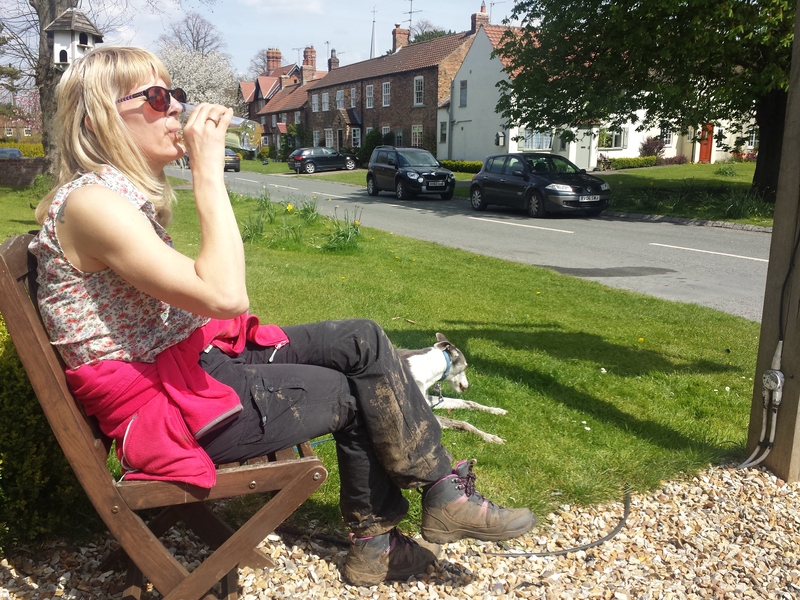 I think the circular route we took was around 6 miles, on a glorious sunny day, so we were ready for an ice-cold drink outside the Crown Inn when we got back to Roecliffe. We had already enjoyed a lovely evening meal at the Crown a few days earlier! A lovely part of the country and you seemed to have had warm, sunny weather. 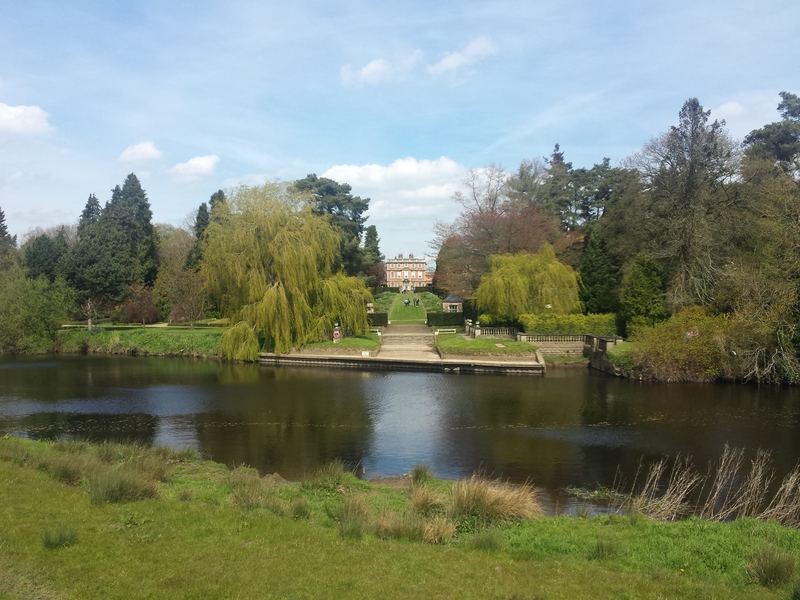 I’ve not been to Roecliffe but have visited all the other beauty spots but it’s a long time since I was in Boroughbridge – I need to go back soon! Thanks. Boroughbridge appealed to the archaeological streak within us, with a National Trust Centre on the edges of the original Roman Garrison, and the prehistoric “Devil’s Arrows” monoliths on the edge of town. We hope to be on board mid June all being well. 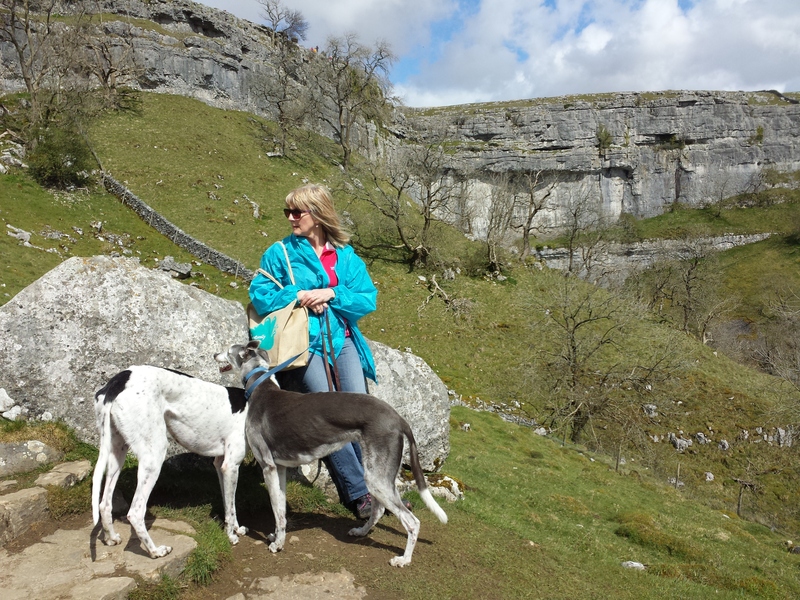 Don’t think the Dales will fit in this year but next is a real possibility. Looking forward to following your further travels. Thanks. It’s an area which is so close to where we live, yet we’ve never really explored it before. 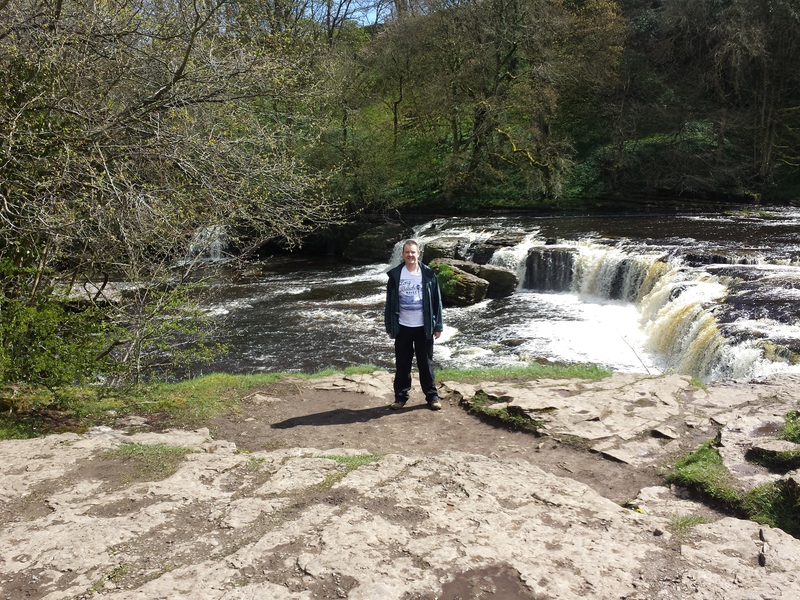 A thoroughly enjoyable holiday, and one deserving of further exploration! 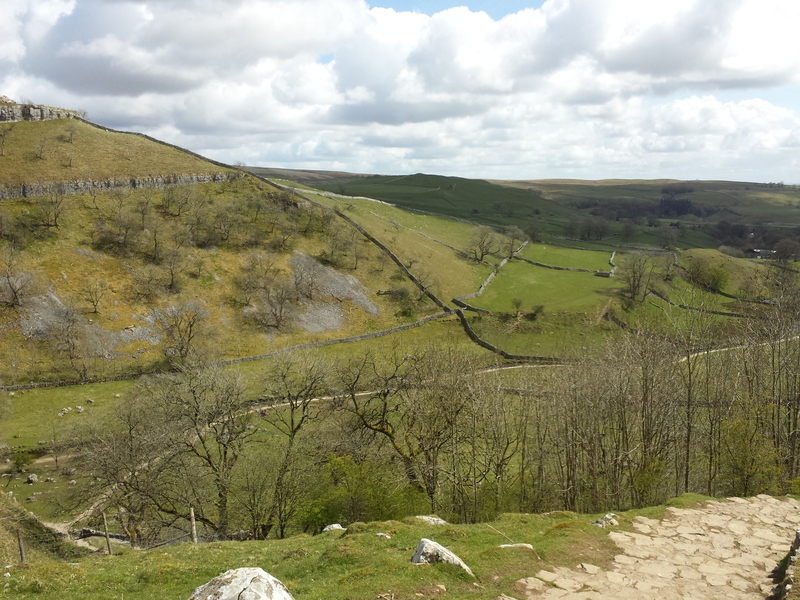 The Yorkshire Dales area is just so beautiful – I’m hoping to do the Yorkshire Three Peaks before I graduate!